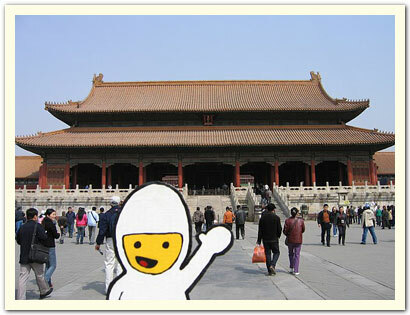 First stop, the Forbidden City! April 2006. 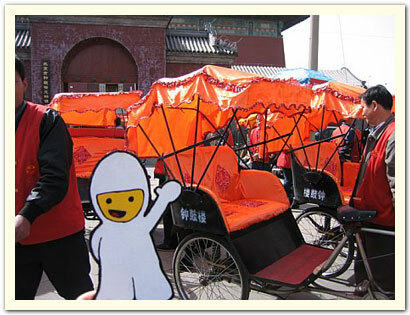 Photo taken by Christine C.
Bumperboy contemplates on which pedicab to take for his tired legs! 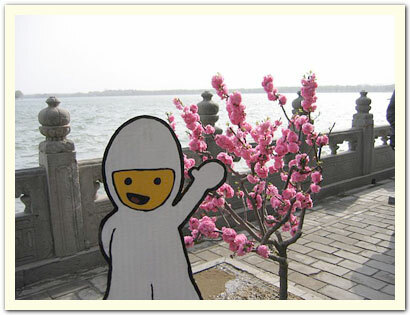 Bumperboy stops to enjoy the beautiful cherry blossoms at the Summer Palace. 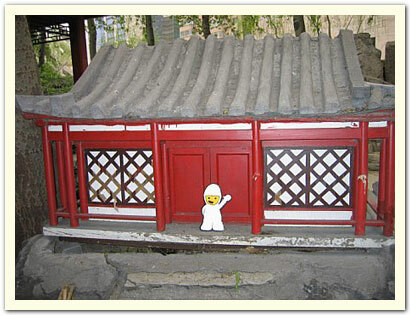 Hey, it's a house that is just the right size for Bumperboy! 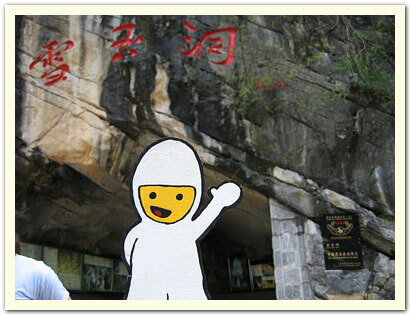 Here he is, getting ready to enter the Snow Jade Cave. 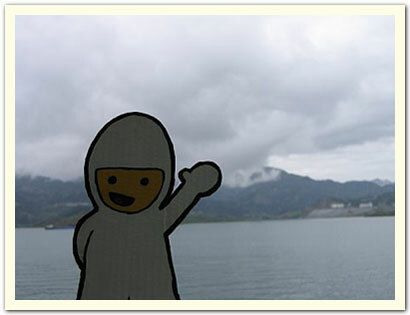 Bumperboy was lucky enough to take a cruise down the Yangtze River before the area will unfortunately be flooded. 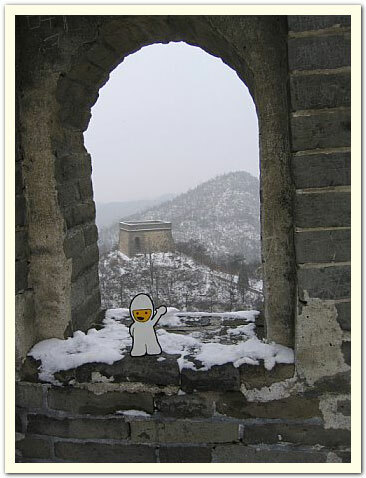 And finally, Bumperboy braves the snow atop the Great Wall of China!